Morrow is a nice distance shooter – he isn’t the shot creator that Neal is and Charlotte’s second unit really struggled to create offense throughout the season. 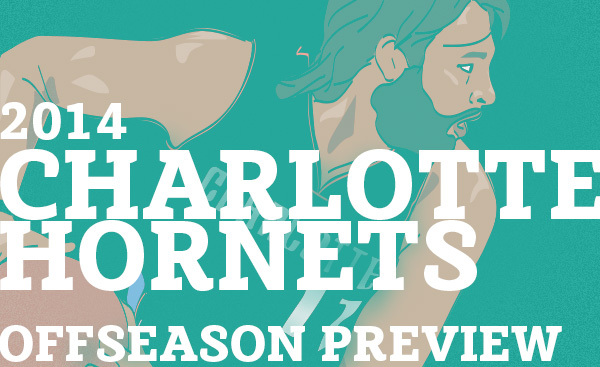 He’s a local guy and has been linked to the Cats/Hornets forever so I could totally see it. Thanks for reading. What about a 2 year rental of Jeff Green. He is not in the Celtics long term plans and if they draft Parker or Wiggins he is redundant. I would trade Henderson and change (maybe a 2nd Rd) for Jeff Green. Green’s value is way down, but he can score and shoot a WHOLE LOT better than our wings. The Hornets can play MKG at the SG as a better version of Tony Allen. The Celtics will get some money or a 2nd Rd plus over $3M in cap space, while also getting a decent SG with above average defense to go along their core, not to mention the high character and the history Hendo has with his dad a former Celtic. The thing about Green is that you can’t justify giving much up for him. He’s due a lot of money for a non-star and for every fantastic game, he’ll disappear for three. Like the idea though and have written about it previously. I really like your idea of playing MKG at SG. Was discussing this with some other fans recently and I think that might be the play long term — teaming MKG with someone like Hayward at the wings would be a fantastic combo. The Hornets could still get Sefolosha (or even better Affalo), even with Green and also Jordan Hill as a backup Center will be great. That move will make the Hornets an elite defense and MUCH BETTER on offense (assuming Taylor gets his 3andD rol together). I truly believe Green is just what we need, and is only for 2 years, he will be 28 next season. And if we can also get any combination of Affalo, Hill, Sessions or Nelson, that will be icing on the cake. Then just draft the best player avaliable, regardless of need. just another thought to throw it out there…what if we get really lucky that pistons draw #9 thus making the pick belongs to the hornets? who do you guys think we should take at #9? I called it! I called it! I called it! Can’t believe this is really happening!